Fugazi is legend. Fugazi changed my life. As might be expected, music has always been very important to me — one of my oldest memories is sitting in prayer services with my parents and slowly rocking back and forth in cadence with the shabads. My early musical discovery followed a typical path: after religious hymns, my first exposure was to the ghazals and Indian film music of my parents, then Top 40 radio of the ’80s, and then I slowly inched to the fringes and discovered increasingly disparate genres and styles… new wave and Depeche Mode, nerdy prog-rock and Rush, jazzy hip-hop and A Tribe Called Quest (all of whom will make an appearance here in due time). But it was that one cassette that changed everything because it stood in such relentless contrast to all that I’d heard before. I owe it all to Willie Kim, who reluctantly recorded a mix tape for the geeky little 10th grade kid who wouldn’t leave him alone. On one side was Operation Ivy and 411, and the flipside was Fugazi and Minor Threat. Enough said, right? Through that well worn tape I learned that punk wasn’t full of hateful aggression that I needed to fear, but rather anger and frustration at the very institutions and injustices that I found so intolerable. I discovered that punk rock was my voice, and it was okay that so few in my little suburban town understood. 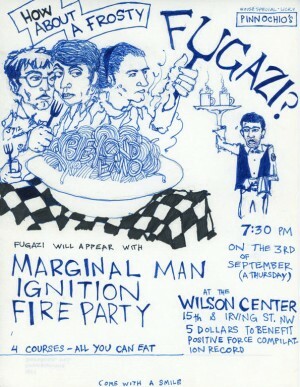 The legend of Fugazi is now well known to any music fan: they famously capped the cost of most live performances at $5; they started Dischord Records so they could keep record prices low and sell to fans directly; they didn’t sell merchandise; their shows were always all ages; and they rose from the ashes of two wildly influential bands in their own right, Minor Threat and Rites of Spring. As important and vital as all of that is, none if it would matter if it weren’t for the music. They’d just be four ornery political dudes from Washington, if not for the fact that collectively they were one of the best rock bands that has ever existed. Over time, their music evolved and borrowed influences from many genres and styles, but it always sounded like Fugazi because it was anchored by the melodic syncopated rhythms of Brendan Canty and Joe Lally, who seemed to share two halves of the same brain. Combined with the vocals and lyrics of Ian MacKaye and Guy Picciotto, and their jagged, groovy guitars, the band created a sound uniquely their own. Each studio album is a classic, and you could really start anywhere, but for the uninitiated I would recommend picking up 13 Songs and moving along chronologically so you can track their evolution. Were they influential, obviously to punk rock, but also to popular music at large? Was The Clash? Velvet Underground? The Ramones? You will hear snippets and ideas that you swear you’ve heard before… you have, in a song you like that came out 15 years later. 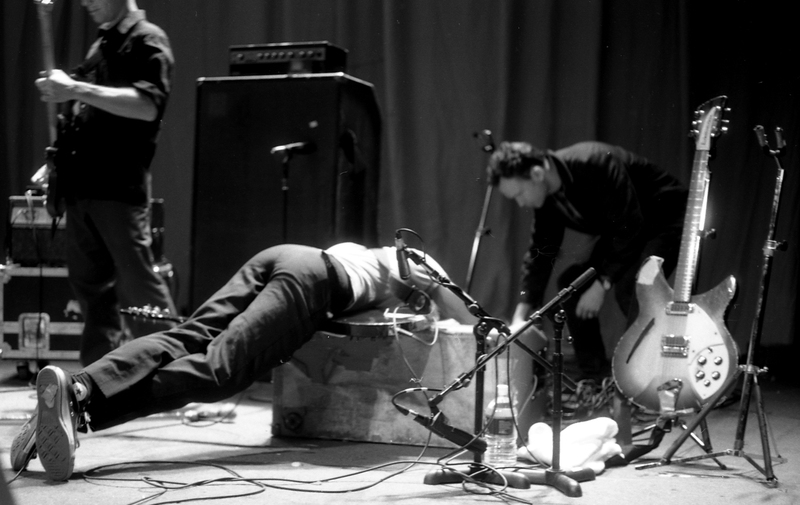 There isn’t a post-punk band around that doesn’t reference Fugazi, even if it’s done unwittingly, plus Dischord has released some of the best punk rock of the last three decades. 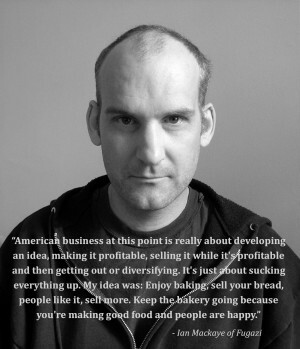 Simply put, Fugazi changed the sound of music, Fugazi changed the business of music, and Fugazi changed me. I’ve included “Furniture” here from their last EP because it covers the full trajectory of the band. The song was written in 1987 and performed at their first live show, but not recorded until 2001 during the sessions for their last album, The Argument. Sonically too, the song serves as a good introduction because it shifts directions several times and offers brief glimpses into many facets of their varied palette.